Happy New Year from Salem Fitness. We would like to thank our customers, friends, family, and community for allowing our business to be part of your lives in 2017. We wish all of you a wonderful and prosperous 2018! If we have had the pleasure of being your choice in health clubs, we hope that we provided the highest level of customer service and met all of your needs. In the coming months if you find yourself in need of the services we offer, we hope you choose us again in 2018. It is our sincere wish that in the New Year you are surrounded by warmth, family, and friendship and that 2018 brings you good health and prosperity. From all of us here at Salem Fitness we hope you have a safe, fit, and exciting New Year. There are a lot of yoga exercises that can help you experience positive therapy for the mind and body. Like other styles of yoga, gentle yoga exercises have several benefits for everybody, both young and old. Most of all, there are big benefits for those who can’t perform an exercise that requires a lot of flexibility and strength. 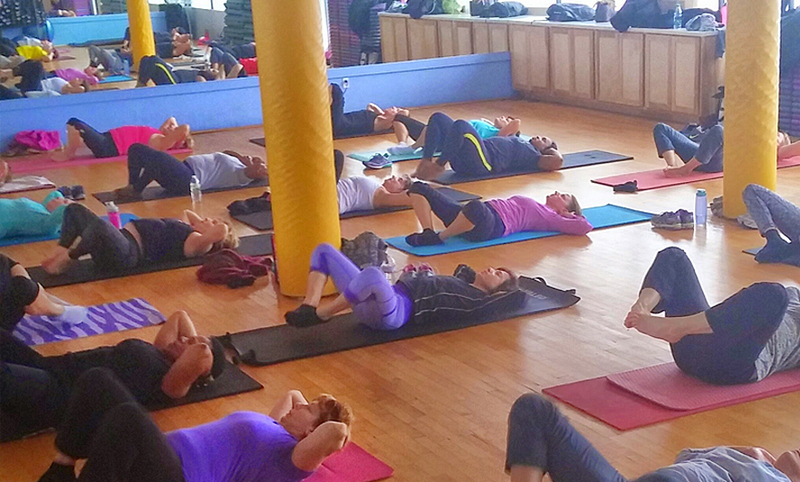 This exercise alleviates stress, increases flexibility, calms the mind, and strengthens the body. Therefore, practicing yoga is ideal for beginners, for those who have posture issues, for advanced athletes, and for those who want to stretch and build strength. If you are looking for a gentle yoga class, our gentle yoga exercises in Salem, MA are the perfect opportunity to experience holistic health. This type of yoga is also an excellent option for athletes who have injuries and undergone surgery. This is a good therapy for recovery because it assimilates slow movement with focus on proper posture. Gentle yoga helps promote a sound mind and body. It doesn’t require you immediately to push your body’s flexibility and strength to their limits. It also incorporates breathing techniques that positively influence the mental, emotional and physical state. Undeniably, gentle yoga provides holistic health for everyone. Come and join gentle yoga classes in Salem, MA and enjoy getting fit. If you have any questions about gentle yoga exercises, feel free to contact us at Salem Fitness Center. Tis' the season when your newsfeeds are flooded with selfies and posts. You go nuts over holiday outfits and love to show them off. For that reason, a slimmer face and a slender body that complements those party outfits are every lady's fitness goal this season. So if you want to standout at your holiday parties and look great in those holiday photo shoots, start hitting the gym. Try Cross Training Exercises and Yoga fitness class in Salem, MA. Cross Training Workouts can result in speedy weight loss results since you can combine physical exertion that targets every muscle group in a single session. It includes weight lifting and cardio exercises that burn calories all over the body and likewise help you slim your face as well. Meanwhile, in yoga fitness class, your instructor will teach you proper yoga exercises that can tone your facial muscles and tighten sagging skin. Yoga, when done regularly, can also improve blood flow and promotes drainage of toxins which results in a reduction of wrinkles. Leaving you a less bloated face and younger-looking skin. These two specific workouts coupled with less intake of sodium-rich food can help you achieve the slimmer face and body you desire. To learn more about the benefits of these fitness workouts, contact Salem Fitness. The hustle and bustle of the holiday season can really be exhausting, particularly to the seniors. If they are not fit they might not be able to keep up with the hectic holiday schedule. Encourage them to join senior fitness programs like "Sweating to the Oldies" to help them maintain or restore strength and stamina. Sweating to the Oldies in Salem, MA motivates seniors to participate in workout routines that can improve the strength of their cardio muscles and promote proper circulation. Good circulation means proper oxygen distribution to the entire body. Thus, the entire system can function to optimum capacity so the seniors can fully participate in holiday activities. Furthermore, the season makes it hard to stick to the right diet with all the scrumptious, high caloric meals and sweet treats. 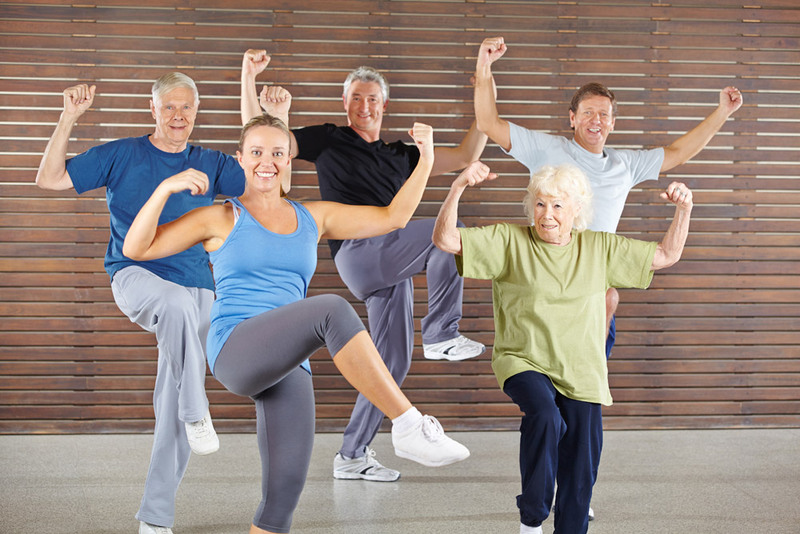 The physical fitness program can help older adults maintain weight by burning excess calories and lowering blood sugar levels through physical exertion. Daily exercise by means of this program aids in the prevention of health conditions that are commonly brought forth by aging. Keep your loved ones happy, healthy, and active this holiday season. Contact Salem Fitness to learn more about this senior fitness program.